For a nation that is so cynical, the rise of the Aam Aadmi Party has all the makings of a fairy tale. Set up just a year or so ago, the party has stormed to power in country's capital. It has also managed to create a lot of goodwill across caste and class. But in just a month after Arvind Kejriwal, the party’s most visible leader, became Delhi’s Chief Minister, the honeymoon has abruptly ended. And we are not talking about its troubles over Law Minister Somnath Bharti who allegedly led a group of AAP workers who misbehaved with a number of African women on the pretext of a raid on a drug and prostitution ring. We are also not talking about the expulsion of rebel legislator Vinod Kumar Binny less than two weeks after he called Kejriwal a "liar" and a "dictator". Even if the AAP’s governance policies are taken with a pinch of salt, what is worrying is the fact that it has no—you heard it right, no—economic policy in place. This was confirmed by AAP spokesperson Dilip K Pandey. It had set up a panel of seven recently to devise one, but nothing has come out of it yet. The panel members included noted environmental economist Aseem Srivastava, Atishi Marlena, AAP spokesperson and secretary of Delhi unit Dilip Pandey, leading economist and analyst Laveesh Bhandari, former CEO and Chairperson of Royal Bank of Scotland Meera Sanyal, AAP National Executive member Prithvi Reddy, former corporate executive Sanjiv Aga. Information on its website, however, shows that the party had actually set up a team six months back for the same purpose. “The subject committee shall evolve a holistic perspective towards Economy and Ecology. It shall develop an economic policy along the principles of equity, deepening democracy and ecological sustainability. The committee shall also shape the various policy groups that come within its umbrella. The policy groups shall only be activated after the recommendations of this committee,” the note on the website says. 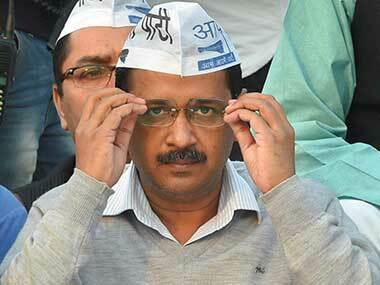 The AAP spokesperson did not respond to queries on when the party will finalise its ‘vision document’. 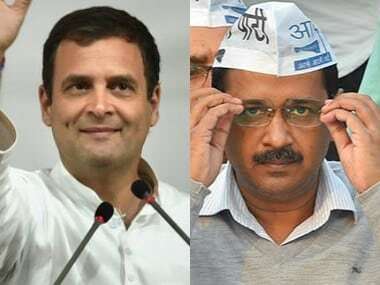 It is surprising that the party has not yet decided on its policies given that team Kejriwal has already taken some major economic decisions—which experts describe as ‘unfortunate’ and harbinger of ‘policy uncertainty’. In less than a month, the party announced water and power subsidies for the city-state. It also reversed the previous government’s stance on allowing foreign direct investment in the retail sector. Amid criticism of being "left of left", the party's strategy and policy guru Yogendra Yadav, in a recent interview with The Economic Times, said his party’s approach was different from what is passed off as “socialism” in India. Yadav said that the party was not going to follow a “prefixed template” blindly and does not see the government’s role as “arbiter, regulator and service deliverer”. Yadav’s comment is quite unclear. Will the AAP follow left policies? Can it break the myth that only Right-wingers can be really business and economy friendly? Will they find a case-by-case middle-ground? No one seems to know or care much in team AAP. Even the corporate bigwigs who have joined AAP because of their anti-corruption agenda, are now criticising these policies or are unable to take a stand on its policies. “In May, my husband and I met Arvind Kejriwal and found that our thinking was very similar. Over the course of the next few months we interacted and were impressed with his idealism, integrity and courage. Our interactions with people at all levels of the party, gave us the comfort that this was a party driven by ethical values and a desire to serve our country. This was something we really identified with, so we decided to join the party,” she said. Sameer Nair, the media executive and former Star India CEO, was the earliest among India Inc honchos to join AAP. Nair was said to be helping the party in its “communication strategy” but of late, he has stayed away from the limelight too. GR Gopinath, the pioneer of low-cost airlines in the country, joined the AAP recently. 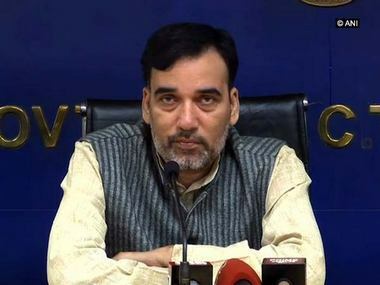 He has criticised the AAP’s move to reverse FDI in retail and said it was playing into the hands of oligopolies and encourage “crony capitalism”. “It will send a wrong message to investors that India is an unstable country with regard to continuity in economic policies,” he wrote on his blog. There are others who feel that the new Delhi government’s decision to shut the door on foreign investment in the multi-brand sector in the capital will hurt investments, heighten policy uncertainty and deny jobs to the youth. "It is an unfortunate decision and it is possible that it may send a wrong message globally. The notion of policy uncertainty in India should not be strengthened by this," J Suresh, chairman of National Committee on Retail at the Confederation of Indian Industry, was quoted as saying by PTI. India Inc said the move would deal a blow to investments in Delhi and deny consumers choice. "This direct negation without demonstrating a search for a viable alternative or via-media would hamper investment sentiment for the state. Multi-brand retail would help in reduction in wastage of food products, thereby controlling inflation, and FDI is an alternate capital and technology source," said Sidharth Birla, president, FICCI. 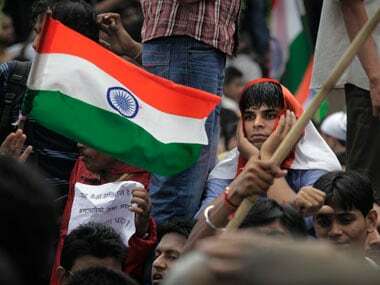 The AAP’s economic policies are largely guided by populism, economic principles seem absent. It is only ironical that a party which has not drafted an economic policy—be it left or right—hogged limelight at the 2014 World Economic Forum. As the country enters the election mode, other parties are vying with each other to ape the AAP’s populism. In the race for the limelight, one hopes that the other serious business of jobs and growth are not forgotten.